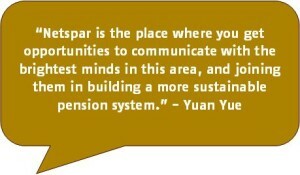 For students, Netspar offers a unique specialization focusing on the economic and social consequences of aging and pensions. We offer this track within four master programs at Tilburg University. You can read more information about the Netspar Track in this flyer. 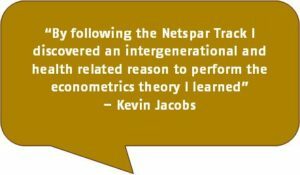 We have set up a special BlackBoard community for Netspar Track students that has details on the program and all of the necessary practical information for students to sign up and participate in the sessions and events. You must register to gain access. Then you can browse Netspar and you can “enroll”. For more information about the Netspar Track within your master’s program please contact the program coordinator at Tilburg University. You can also contact the education coordinator of the Netspar Tracks Mandy van Trier at m.vantrier@uvt.nl or tel. 013 466 21 09.